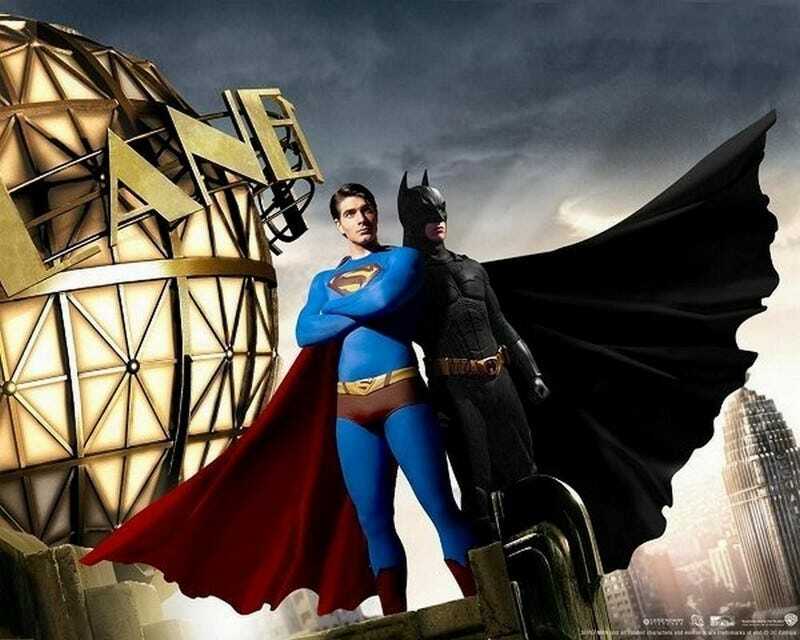 While Warner Bros. readies a collection of movies featuring DC superheroes (Superman, Batman and Green Lantern) movie producer Charles Roven sets the record straight on the studio's plans for their characters to cross over: It won't happen. In an interview with Shock Til You Drop producer Charles Roven set the record straight. Roven is a producer on both Chris Nolan's The Dark Knight Rises and Zack Snyder's Superman, so if anyone knows how Warner Bros is planning on handling the DC Universe, it's him. Is Fringe&apos;s Alternate Universe The Same Earth As I Am Legend? That may be in somebody's mind but right now the Batman lives in his world and the Superman lives in his world. Those stories are those stories and we haven't thought beyond each individual picture. Next, will this be the last Batman film we see from the WB for a while, as this is Nolan's final Batman movie. Will they pass the torch onto another director after The Dark Knight Rises? I think that Chris Nolan has said that he wanted to make a trilogy and this is a trilogy. As far as we all know, this is it. This is the trilogy. The Dark Knight Rises is the third part of what Chris created with Batman Begins and we're not looking past that. So, as of right now, this is all the Batman we'll be getting for some time. Although with Harry Potter ending in 2011, we highly doubt this is the last we'll hear from the caped crusader. Somebody has to pay the bills. Read the rest of the interview with Roven at STYD.